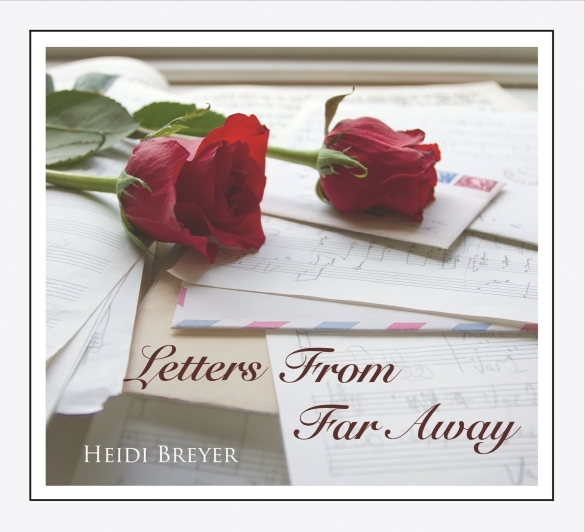 Frenchtown, NJ – Pianist and composer Heidi Breyer has released a breathtaking new album of unparalleled beauty titled “Letters From Far Away.” The new release is a double solo and piano instrumental album and Heidi’s debut production alongside legendary Will Ackerman (Founder Windham Hill Records) and Tom Eaton. The album was recorded, mixed and mastered at Imaginary Road Studios in Vermont and Studio Sound in LA. “Heidi Breyer continues to amaze with her evolution as a composer and as a performer. The range of styles represented in Letters From Far Away is considerable, but like the outer planets in our solar system, these are held together by the gravity and persuasion of Breyer’s Artistic Voice.” – Will Ackerman, Grammy winning Guitarist, Producer, Imaginary Road Studios and founder of Windham Hill Records.